President of the Union of Youth Federations of Cambodia (UYFC) H.E. 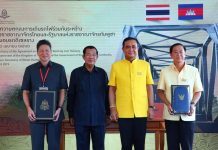 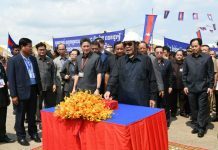 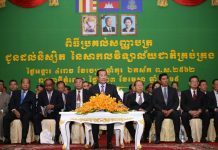 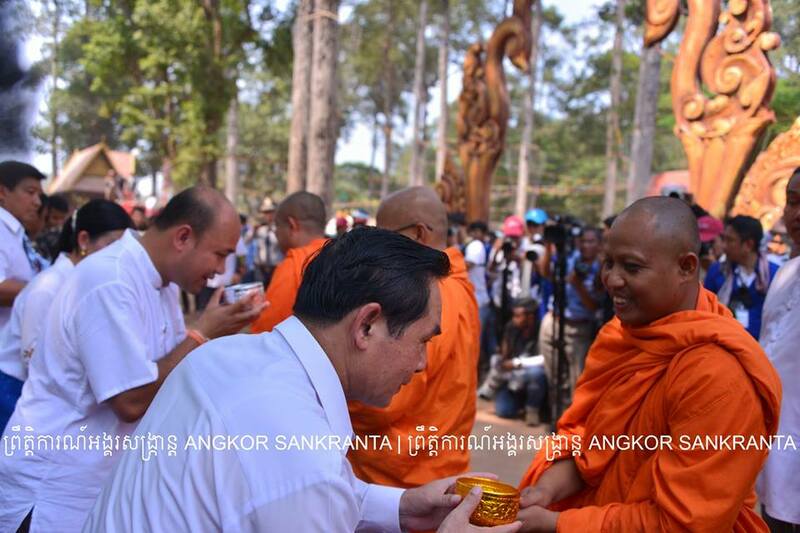 Hun Many and Siem Reap Provincial Governor H.E. 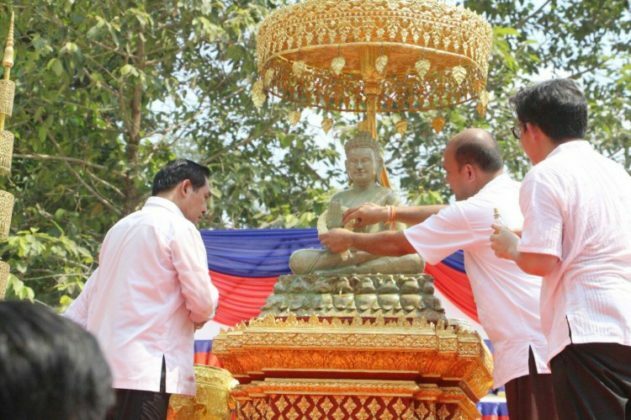 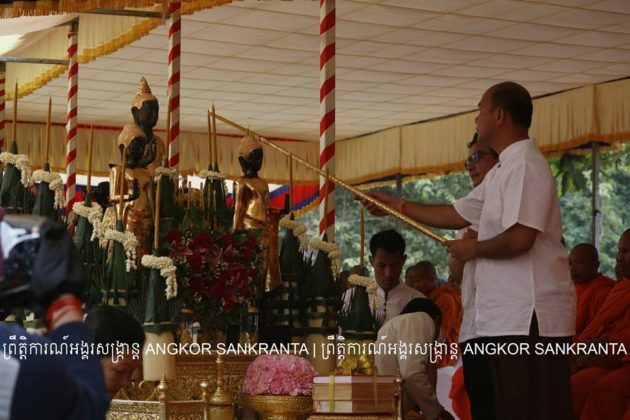 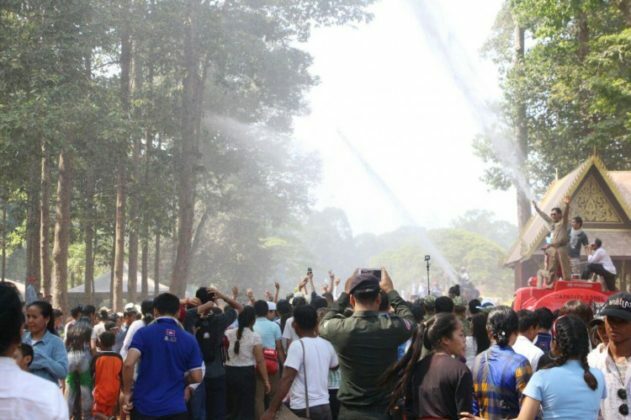 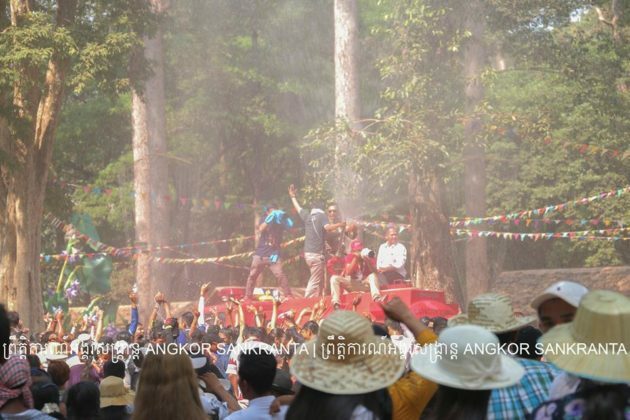 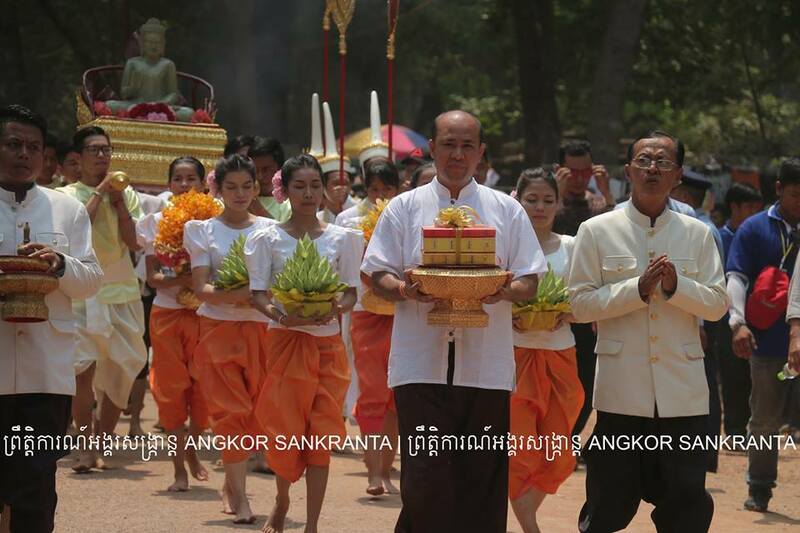 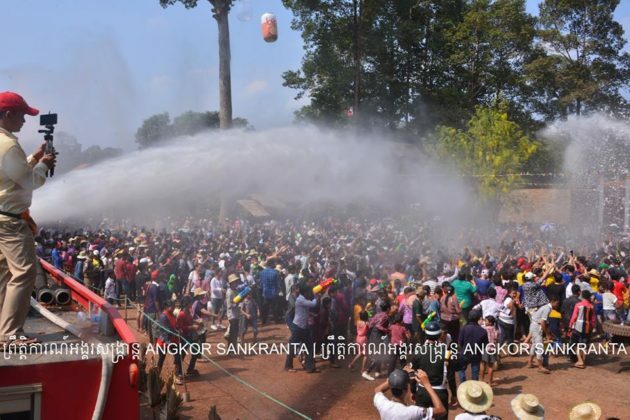 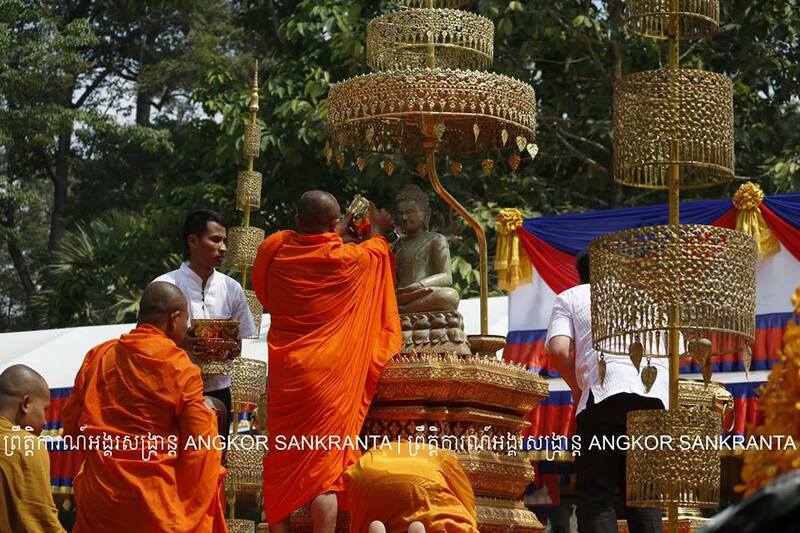 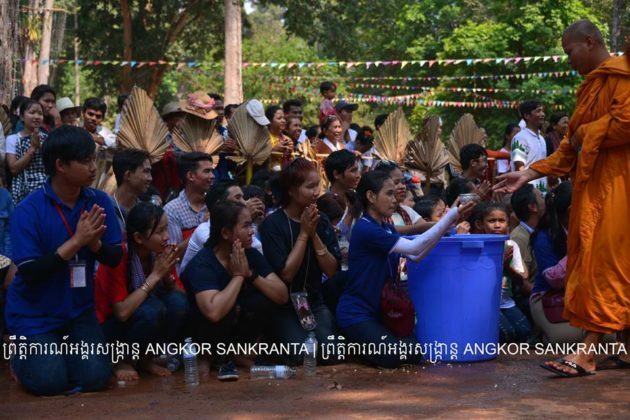 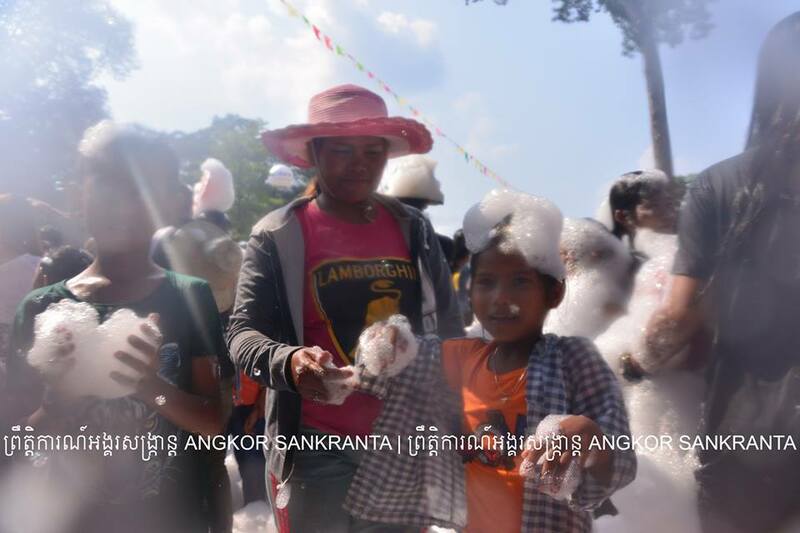 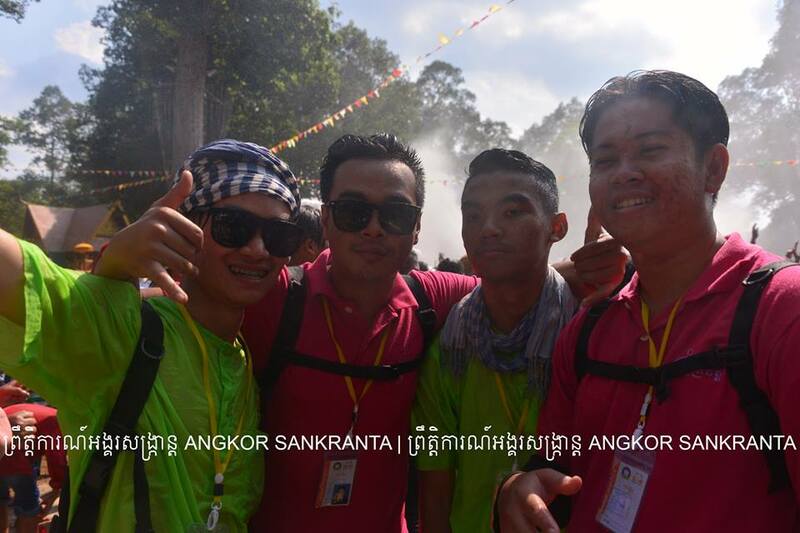 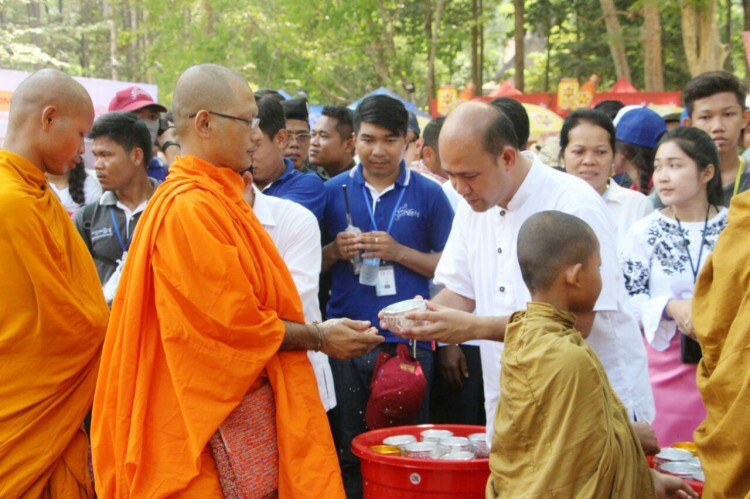 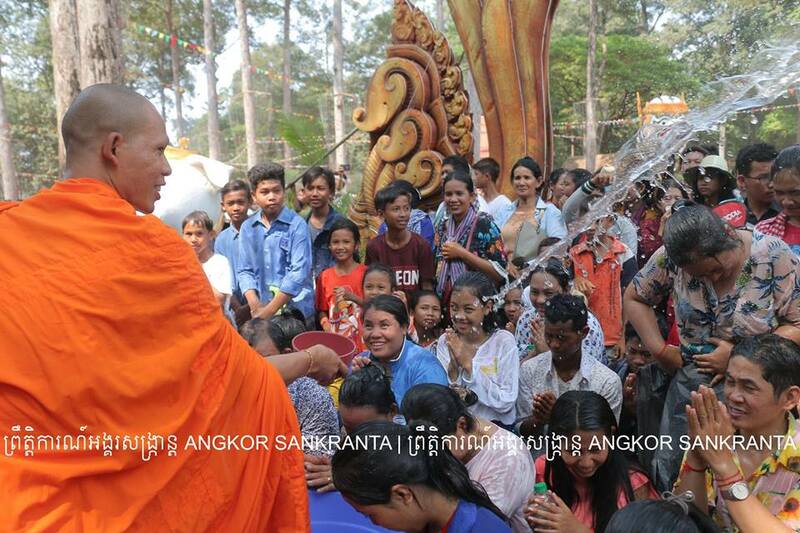 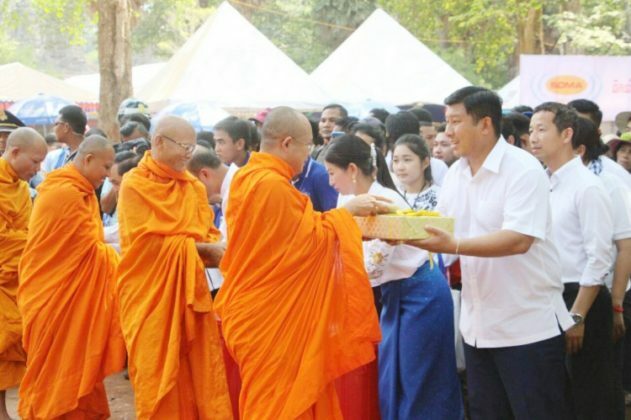 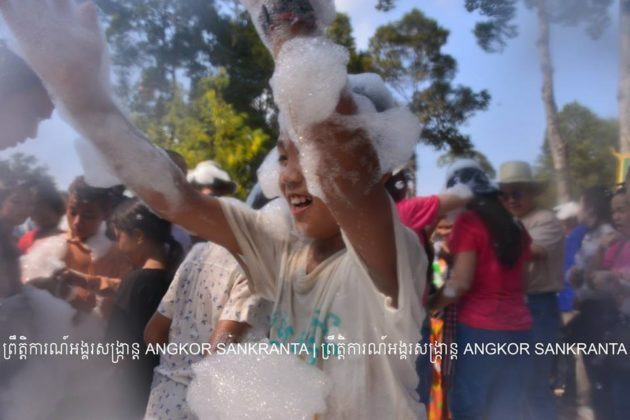 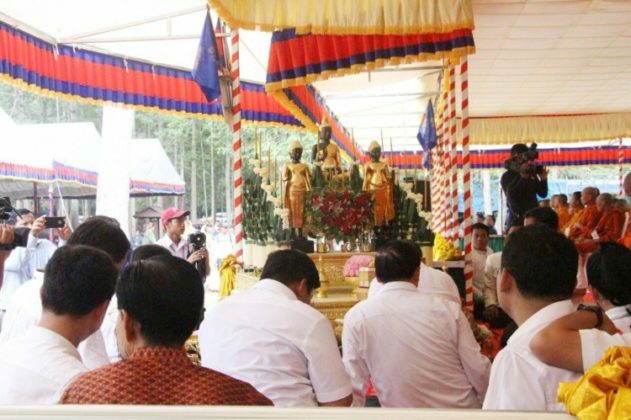 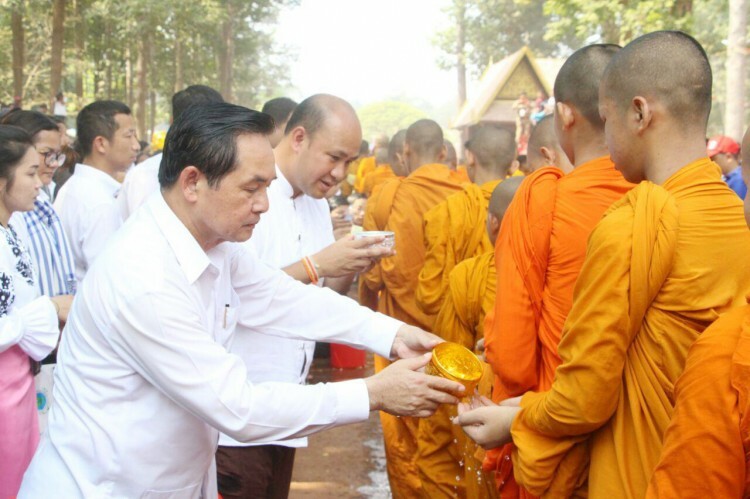 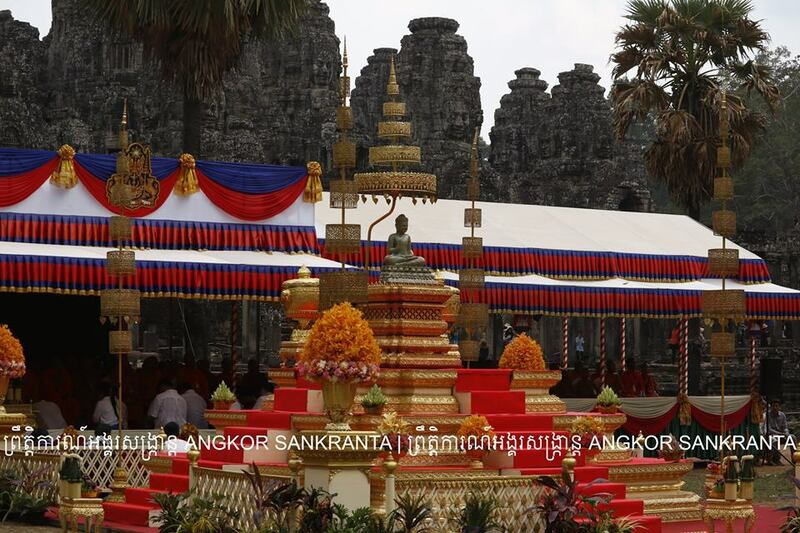 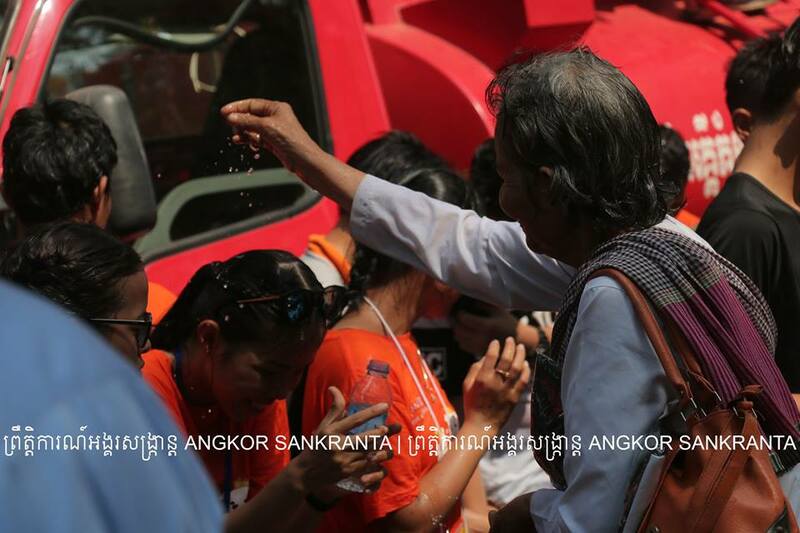 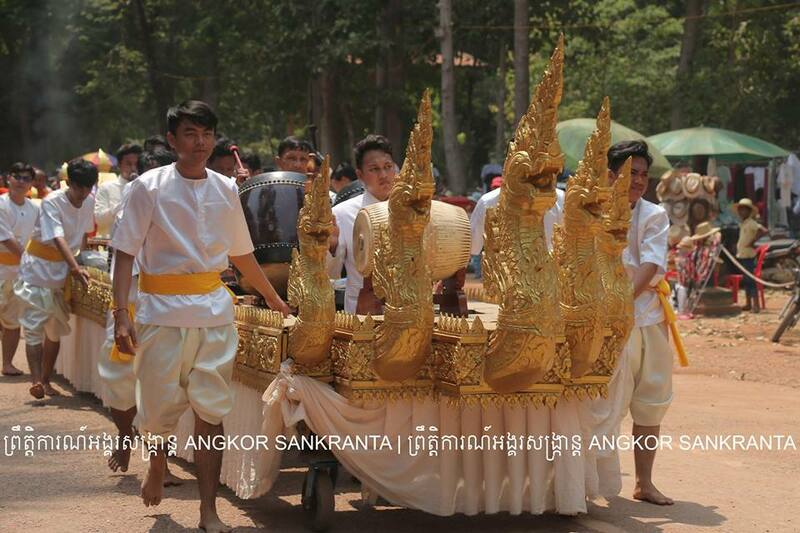 Khim Bunsong attend the ceremony of “Srang Preah” (Buddha statue bathing) held in front of Bayon Temple in Siem Reap province this afternoon.